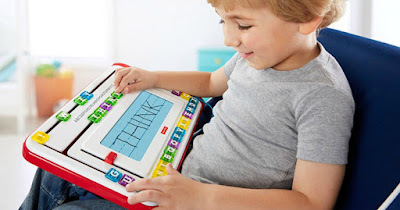 Right now you can score this Fisher-Price Think and Learn Alpha Slidewriter for just $15.29! This writing toy features moveable letter tiles so kids can practice spelling their own words, and has a magnetic screen printed with writing guide lines for beginning writers. Plus the included pen grows with your kiddo, so they hold it correctly each time.